What Are the Health Benefits of Taking a Garlic Supplement? Home Supplements What Are the Health Benefits of Taking a Garlic Supplement? Takeaway: No matter your gender or age, garlic is a natural medicine that can offer you health benefits. Regular intake of garlic can help lower your risk for Alzheimer’s, heart disease, osteoporosis, cancer, and more. Given all the benefits, it’s not surprising that studies have also linked garlic intake to a longer lifespan. 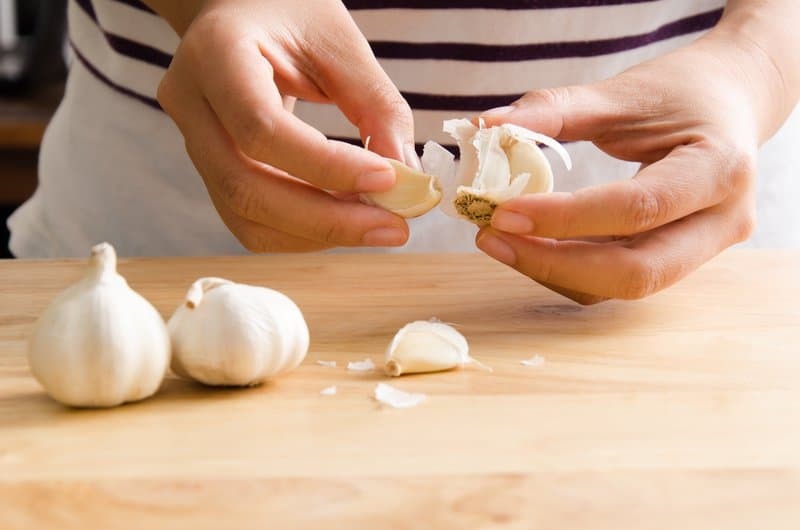 You may eat cooked garlic almost every day in your food, but did you know that raw garlic contains active compounds that could help you live a longer, healthier life? Garlic was used as medicine in ancient times and was even given to the original Olympic athletes in Greece to improve their physical performance. Modern research has proven the science behind garlic’s uses for enhancing immune function, lowering blood pressure and cholesterol, delaying cognitive decline, preventing cancer, and much more. 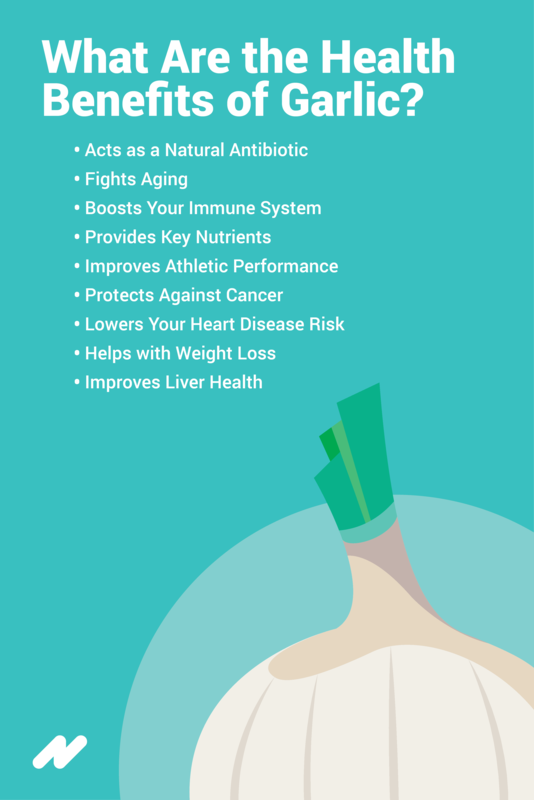 Raw garlic is easy to incorporate into your diet especially if you love the pungency it packs; but if you don’t like eating it raw, you can get the health benefits of garlic each day by taking a supplement. There are different types of garlic supplements out there with some being more effective than others. In this article, we’ll break down the distinctions between them and the various benefits they offer. Historically, garlic was used in folk medicine to remedy a wide range of ailments from intestinal worms to ear infections. 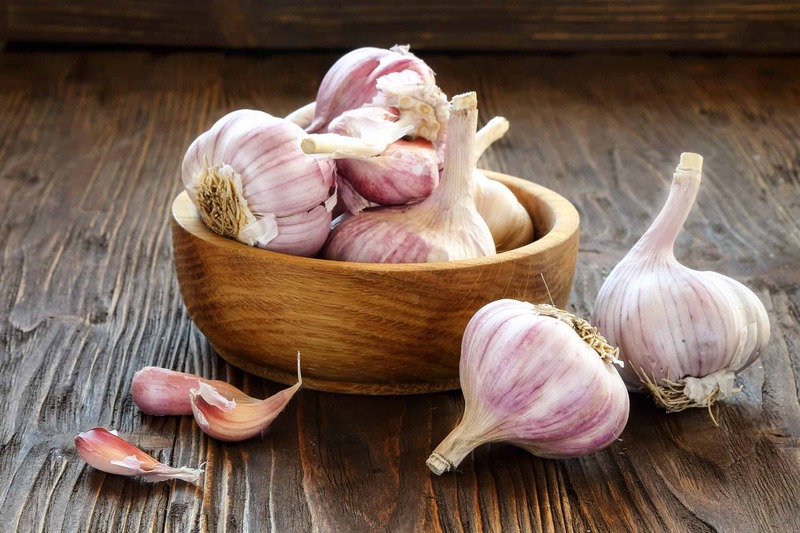 It was used as a natural antibiotic before modern antibiotics were invented, and recent studies show that garlic is able to kill antibiotic-resistant strains of bacteria. Because it also kills fungus, you can use it to fight Candida overgrowth, treat yeast infections, cure athlete’s foot, and more. It also kills viruses which helps fight colds, HPV virus (think plantar’s wart), and herpes simplex (think cold sores). Garlic in its raw form is a rich source of antioxidants which fight aging and disease by neutralizing free radicals. When free radicals overwhelm the body, they cause cellular damage and accelerated aging. By getting a daily dose of garlic, you can ensure you’re helping your body fight free radicals. Garlic also boosts immune function by stimulating the production of white blood cells which fight off infections. In fact, garlic extract is shown to lessen the length and severity of common colds. It also wards off neurodegenerative diseases like Alzheimer’s disease and dementia and protects the health of your bones. Garlic is an excellent source of manganese, phosphorus, copper, calcium, magnesium, selenium, and other essential minerals. Garlic has also been found to increase your body’s absorption of iron and zinc with its sulfur compounds. Garlic enhances the function of your cardiovascular system and thins the blood so that more oxygen and nutrients can be delivered to your muscles when in use. Garlic’s active compounds are shown to have anti-cancer actions that may help with cancer prevention. With its ability to lower blood pressure and cholesterol, garlic may help prevent heart disease. By increasing the metabolism of fat and suppressing appetite, garlic can help with weight loss efforts. Garlic also reduces fat deposition in your liver, which helps prevent non-alcoholic fatty liver disease. Finally, garlic has detoxifying abilities shown to eliminate heavy metals from the body. Research shows that a higher intake of garlic in men is associated with better prostate health. As men age, many experience prostate enlargement, or benign prostatic hyperplasia (BPH). In one study, men who ate more garlic had a 28% reduced risk of BPH than men who avoided garlic. Sadly, 1 in 8 American women develop breast cancer in their lifetime. Test tube studies have shown that garlic contains anti-cancer actions that are effective against breast cancer cells. A compound in raw garlic called allicin can induce apoptosis in breast cancer cells. In other words, it kills them. By killing cancer cells before full-blown cancer can develop or spread, raw garlic taken regularly may help with cancer prevention in women. Allicin can be found in garlic pills, garlic oil, and garlic extract. However, you can also find allicin pills that contain allicin alone as a concentrated isolate. The World Health Organization suggests taking 2 to 5 mg of allicin daily to help protect against breast cancer. By increasing blood circulation, garlic acts as a natural aphrodisiac boosting libido and improving sexual function. The allicin in garlic is shown to increase blood flow to the sexual organs helping to “wake up” and activate your sexual desire. Interestingly, one study showed that women were more attracted to the body odor of men who ate garlic as opposed to men who didn’t. The antimicrobial activities of garlic make it helpful for fighting acne and skin infections like athlete’s foot. Even taking garlic internally can improve the acne on your skin. Alternatively, apply garlic oil to your face after cleansing it, or even cut open a garlic clove and gently rub it over an acne lesion to kill bacteria naturally. Garlic also fights the skin’s aging by neutralizing free radicals and increasing skin cell turnover—the speed at which your skin creates new cells. One clove of raw garlic per day or taking a garlic supplement may help delay the onset of wrinkles. It also reduces stretch marks and scars, even when taken internally. Applying garlic oil can also effectively fade marks. Hair loss happens to both men and women, and so many of us are susceptible to its wide range of causes. Stress, a buildup of free radicals in your body, and a poor diet are some of the factors that can contribute to hair loss and thinning hair at any age. Eating raw garlic or taking a garlic supplement can give you the nutrients your hair needs to flourish including vitamins B6, vitamin C, manganese, and selenium. Applying garlic oil to your hair or using a hair lotion or serum that contains garlic as its active ingredient is shown to reduce bald spots and promote hair growth. It increases microcirculation in your scalp so that hair follicles can get the oxygen and nutrients they need from your blood. Research also shows that garlic fights heat damage and UV damage in your hair, so applying garlic oil as a conditioner can help keep it shiny, healthy and strong. The antimicrobial activity of garlic also fights dandruff, which is often caused by bacteria formation in the hair follicles. Rake garlic oil through your hair from the scalp to the ends of your hair until the oil is thoroughly applied. Let it sit for 30 minutes to an hour before you wash your hair. If you’re trying to lose weight, taking a daily garlic supplement can help support your efforts. To lose weight, you need to expend more calories than you consume. Garlic makes this easier on both fronts. It helps lower your calorie intake by acting as an appetite suppressant. Meanwhile, it makes you burn more calories by increasing your metabolism and stimulating your body’s fat burning process. Garlic is shown to reduce systolic blood pressure, so if you’re taking medication for your blood pressure, garlic supplements could potentially replace or reduce your medication. Of course, you’ll want to talk with your doctor before stopping your medication or starting with garlic pills while taking medication. 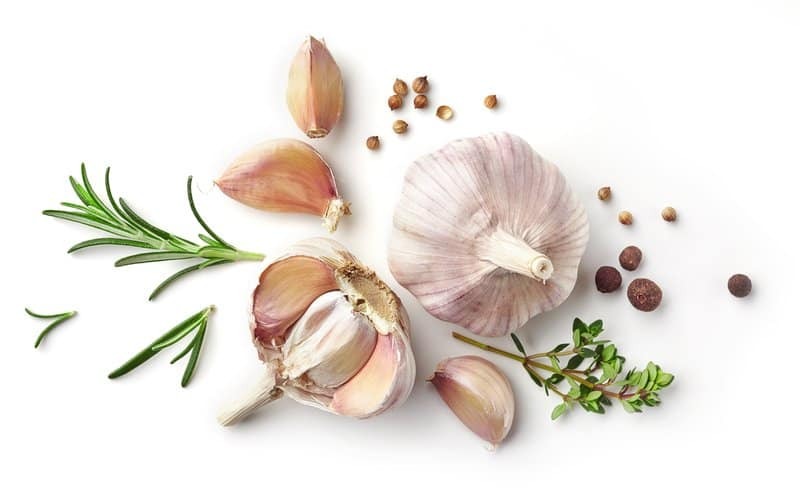 If you’re interested in using garlic to help normalize your blood pressure, allicin pills are the best supplement option since allicin is the active compound known for garlic’s blood pressure-lowering effects. When shopping for the best garlic supplement for you, you can quickly find yourself overwhelmed by the range of different options available. There are many garlic supplements out there, but they’re not all equally effective. Plus, the type you need depends on your specific health goals. Keep in mind that no matter what garlic supplement you get, it needs to come from raw garlic to be effective. Avoid odor-free supplements because the garlic has typically been cooked, which destroys the antioxidants and active compounds. Whatever supplement you choose, make sure it has at least 4 mg of allicin per dose, so that you’re getting the benefits of its most bioactive component. Taking garlic pills allow you to enjoy the health benefits of raw garlic without the pungency of eating a raw clove of garlic. Plus, garlic is most effective when it enters the small intestine. When garlic breaks down in the stomach, the allicin in it starts to break down as well. Look for enteric-coated capsules when shopping for garlic pills because they allow garlic to pass through the stomach and into the small intestine, where the allicin can be better absorbed. Black garlic is a type of garlic that has a higher allicin concentration. It also has twice as much antioxidant power as white garlic and a higher concentration of vitamins and minerals. 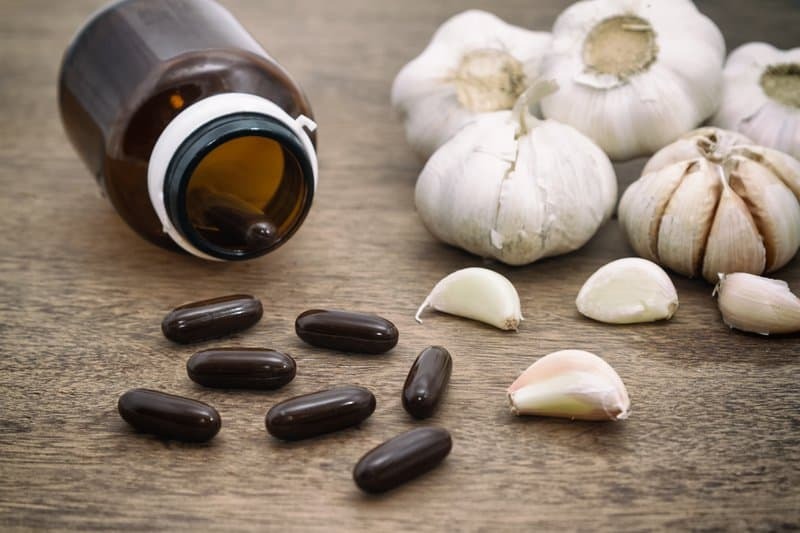 Per pill, black garlic pills offer more health benefits compared to white garlic pills, so opting for them seems like a no-brainer. Garlic oil is a great way to get the beauty benefits of garlic for your skin and hair. You can also take garlic oil internally as a tincture. Don’t confuse garlic oil with garlic essential oil, as garlic essential oil is a much more concentrated form of garlic and it isn’t a good source of allicin. Garlic powder is made from dried raw garlic, and you can find it on its own as a supplement rather than in pill format. Unfortunately, digestion in your stomach can prevent the absorption of allicin from this powder when it’s not contained in an enteric-coated capsule. It’s hard to eat garlic raw because of its pungency, but pickling garlic makes it much more enjoyable. While pickling garlic allows it to remain raw, unfortunately, the allicin leaches out into the vinegar during the pickling process. However, many of the nutrients in the garlic stay intact. In some foods, the bioactive properties are enhanced by fermentation. This happens to be the case for garlic, big time. In a study, researchers found that fermented garlic had over 10 times the antioxidant power of non-fermented raw garlic. The fermentation of garlic also makes its nutrients more absorbable. Amazingly, fermentation also increases the concentration of garlic’s most beneficial compound, allicin. To ferment garlic, fill a glass jar with peeled or unpeeled garlic cloves, add a tablespoon of sea salt, and fill the jar with water an inch from the top. Let the jar sit for a few weeks to ferment. You can find aged garlic as a pill or extract, and it’s particularly helpful in improving heart health and immune function. Giving garlic the time to age in diluted alcohol, without heat, allows its nutrients and bioactive compounds, including allicin, to increase in concentration. Studies on aged garlic extract have shown that it effectively lowers cholesterol and blood pressure, reducing your risk factors for atherosclerosis, heart disease, and stroke. Aged garlic also scavenges more free radicals than non-aged garlic, so it does more to fight aging. The aging of garlic makes its sulfur content more potent which makes it helpful for detoxifying arterial plaque and even heavy metals in your body. When choosing a supplement, the allicin concentration, whether or not the garlic is enteric-coated, and whether it’s odor-free are all factors to consider. Supplements that are third-party tested can ensure quality which is important for garlic because its active components can be easily destroyed through an inferior manufacturing process. Be sure to check with your doctor before trying a garlic supplement if you’re pregnant, nursing, or taking medications. Some medications do interact with allicin, including blood thinners.